I read this book when I was little, over and over again. It was one of my favourites. I wanted to reread it as an adult and see if it was the same as I remembered. I bought it online recently and picked it up almost straight away. 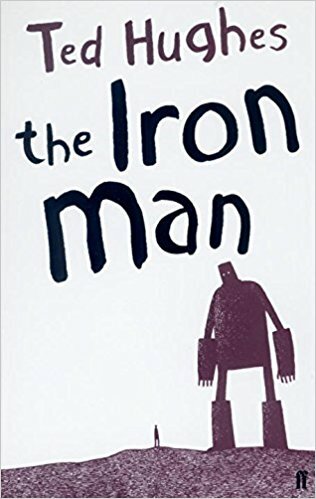 The Iron Man in question appears in the English countryside one night and eats all the metal things close by, so the villagers get their heads together and bury him in a pit! Then a huge scaly terrible dragon flies off a star and lands on Australia, and the Iron Man has to fight him. Each chapter is a story in itself which is proof of how it started life as a bedtime story for Hughes' children. I enjoyed the reread - this is a classic for a reason. It's a very cute children's book and I'd recommend it if your little ones haven't ever read it.